Yes, I’m drinking two at once. The first thing nerds think the moment they step into the great state of Baltimore is: This is where Edgar Allen Poe died. You know, Poe, the guy who wrote the poem that the NFL team is named after… The Redskins The Raven. Now better known for for being King of the Emos, Poe’s legacy is in liquid form and distributed by Ravenbeer. 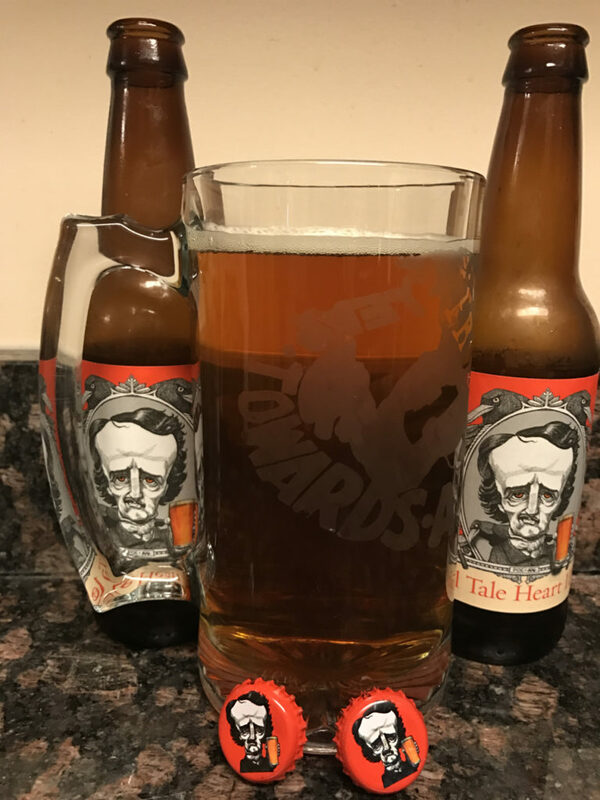 The Poe beer I’m reviewing today is Tell Tale Heart IPA. Like The Raven, A Tell Tale Heart was also a Simpsons episode. At ABV: 7.25%, Tell Tale Heart IPA tastes like a typical IPA. It’s a beer worth drinking, especially if you want to feel smarter because it’s one of the few beers based on an 18th century writer. I’ll give this beer 3 stars, but I’m sure in a blind taste test with other IPAs, it wouldn’t stand out as anything special. Poe, an alcoholic as well as a drug addict, also has three other beers with his caricatured face gracing its label: The Cask, The Raven Special Lager, and Pendulum Pilsner. I’m looking forward to trying them. But will A Tell Tale Heart continue to land in my shopping cart?